North Myrtle Beach’s oldest full-service real estate agency, listing and selling retirement properties, vacation homes, investment properties and residential homes since 1962. Sports tourism is off to a great start in North Myrtle Beach as the City hosts the February 9-10 Premier Girls Fastpitch qualifier tournament at the North Myrtle Beach Park & Sports Complex. The tournament winner plays in a summer national championship in California. 32 teams are participating in the tournament: South Carolina-1, North Carolina-6, Georgia-6, Illinois-2, Colorado-4, Delaware-1, New Jersey-1, Indiana-1, Ohio-2, Minnesota-1, Pennsylvania-3, West Virginia-2, Oklahoma-1 and Virginia-1. 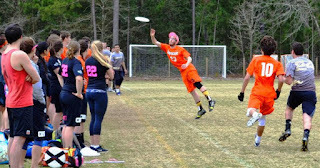 For the fifth consecutive year, the City will host theEastern Qualifier Ultimate Frisbee Tournament at the Park & Sports Complex. Starting February 16, 19 college teams will compete in the tournament: Elon, Georgia Southern, James Madison, Georgia Tech, University of Virginia, University of Tennessee Knoxville, Johns Hopkins, George Mason, Purdue, University of Pennsylvania, Case Western Reserve, Indiana, Ohio, University of Tennessee Chattanooga, Clemson, University of Connecticut, Georgetown, Vermont, and New Hampshire. Sign Up For Email News & Announcements!